Though strictly not in Chiswick, Tosa is a stone’s throw from the border, and I’ve visited quite a few times now. It is worth mentioning this restaurant is much more popular for lunch than it is for dinner, although it can get busy in the evening at the end of the week too. In my experience the restaurant seems very popular with American Londoners and visitors, but also it’s quite common to see larger Japanese groups coming for lunch. From the outside the restaurant looks very cosy indeed, although the ambience inside is less than ideal for various reasons. Firstly, if you sit by the front window, you are very near the long grill bar. When it’s being used these seats get very hot, and when it isn’t being used, there is quite an unpleasant extractor fan noise that underpins everything. The mezzanine seating area is less than ideal, as the bar takes up a lot of space and the tables are actually very small for two. The tables in the back are more spacious, but the back room lacks light and air, and isn’t particularly nice. Unfortunately the terrace outside is rarely used, and rather too small for comfortable seating. The quality of the food is variable, although the prices are consistent… consistently too high. 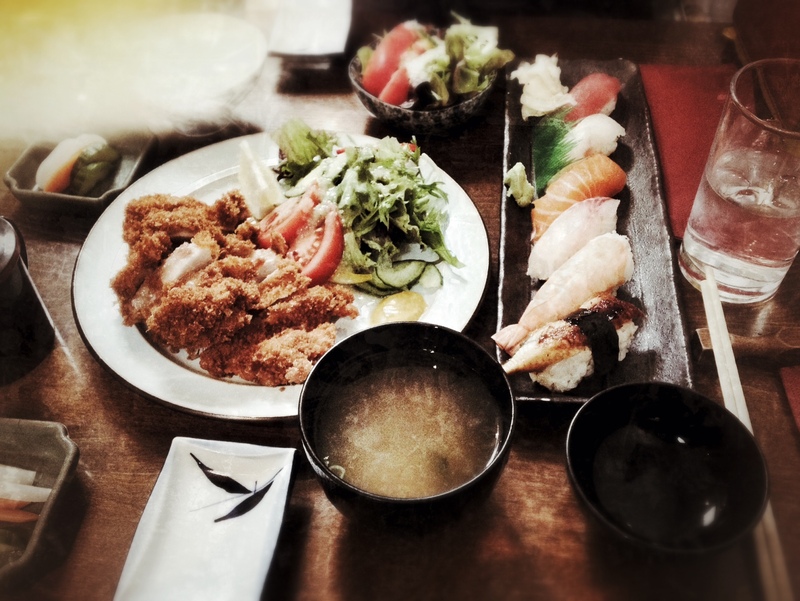 Too many times I have visited for a quick lunch for two and ended-up with a bill of around £40, when all we had was a sushi platter to share, perhaps a small side salad, a miso soup each, and a drink each. This would be perfectly fine if the sushi was consistently superb, but it really isn’t. 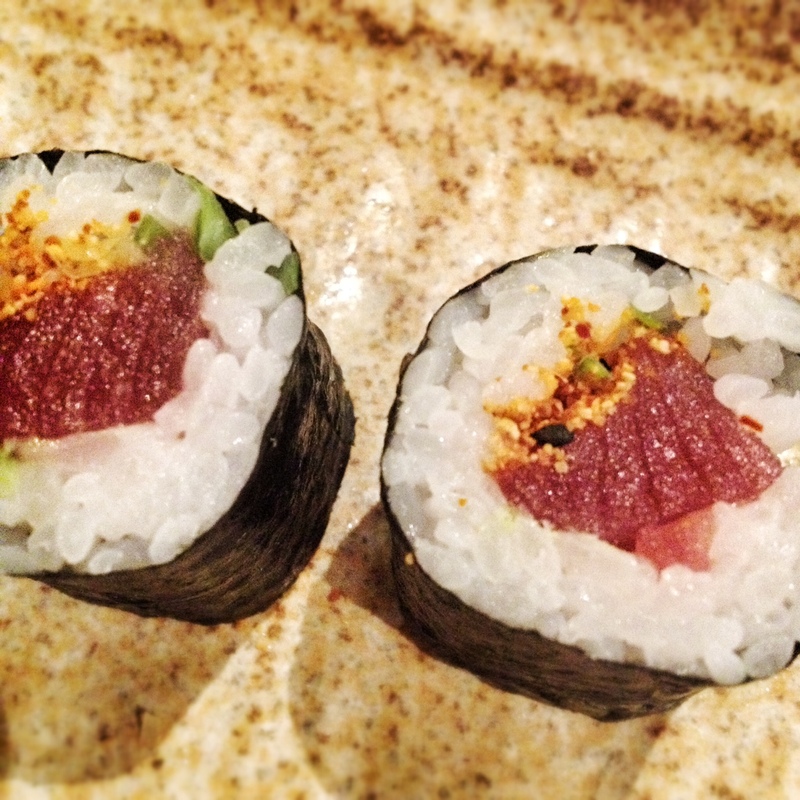 As Tosa does not offer any kind of mixed plates of sushi or sashimi (aka the “sushi set”), you are forced to choose from a list of menu items with few hints as to how many actual pieces you might get. Tonight I ordered four individual items from the sushi menu, and when they appeared, it turned-out that two of the items came out as one piece each, and the other two came out as four pieces each! Sadly, towards the latter part of my meal for one I was also subjected to some nasty bleach and burnt pan smells, as someone decided to take the opportunity to start washing pans at the grill bar adjacent to my table. I left slightly hungry, as I had no clue how many piece of sushi were coming out! I agree, I’ve been about 5 times and each time I leave feeling it was overpriced and still hungry.